I have very pale and sensitive skin. My skin breaks out, but is also incredibly dry, so I have to be careful about how I take care of my skin. When I was a baby I actually broke out on my skin, as it had a reaction to the new atmosphere outside my mother’s womb! My grandmother actually covered my face with a blanket when she took me out in my stroller because of my baby acne! 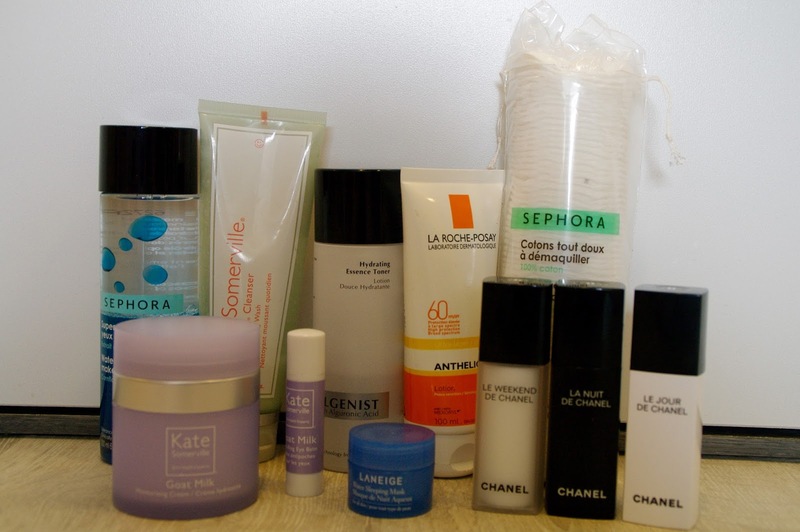 The following is what I have found to work best for my skin type. I wash my face first thing in the morning and at the end of the day. In the morning I will take thirty seconds to wash in a circular motion and in the evening I will wash twice if I have worn makeup. I feel I need two washes to get all the makeup off my skin, I couldn’t bear to go to bed with makeup on! I like to wash my face before removing my eye makeup, as I find this helps to remove much of the eye makeup as well and saves me from having to work too hard to take off black eyeliner & mascara. 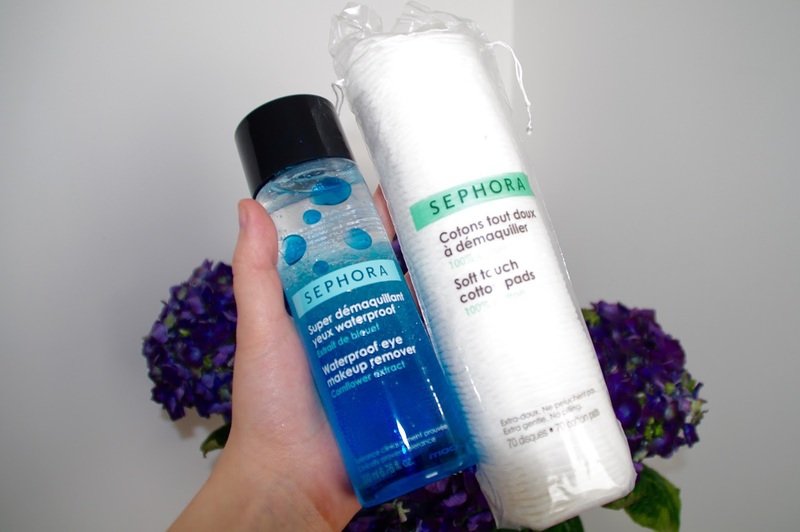 I use the Sephora eye makeup remover with the Sephora cotton rounds to take off my eye makeup. Be gentl while removing your eye makeup, the skin around your eyes is very thin and delicate and tugging on it can cause damage and premature wrinkles! I’ve recently begun following the Korean Skincare routine, which involves applying seven layers of toner in the morning and at night. I use a Sephora cotton round to apply the first layer and then use a tiny bit (just a quick splash in my palms) for the next six layers, which I pat on with clean hands. This step, though a bit arduous is completely worth it and has changed my skin, for the better, tremendously. I have noticed how clear my skin has become since adding this to my regime and I think I’ll never go back! 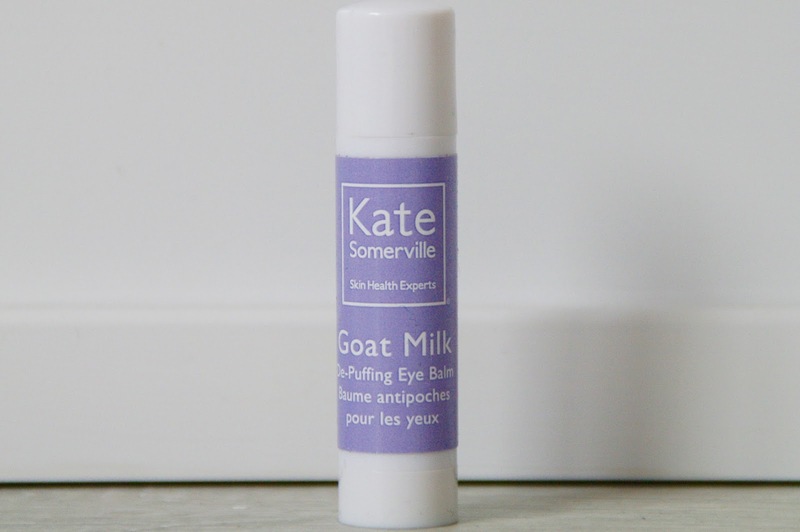 I apply a bit of Kate Somerville’s eye balm morning and night to remove puffy, dark circles under my eyes. 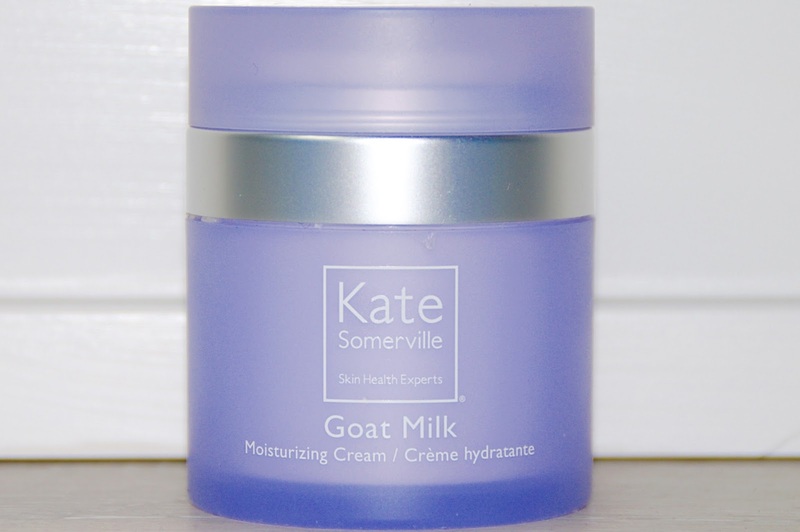 I’ve been using Kate Somerville’s Goat Milk Moisturizing Cream since coming back from Austria last May. There I learned about Empress Elisabeth’s odd and tedious beauty regime, which included bathing in goat’s milk. The Empress is even said to have travelled with a heard, so as not to stray from her regime on vacation! The Empress was absolutely obsessed with vanity and has a very interesting history with beauty, look out for a future post, perhaps! 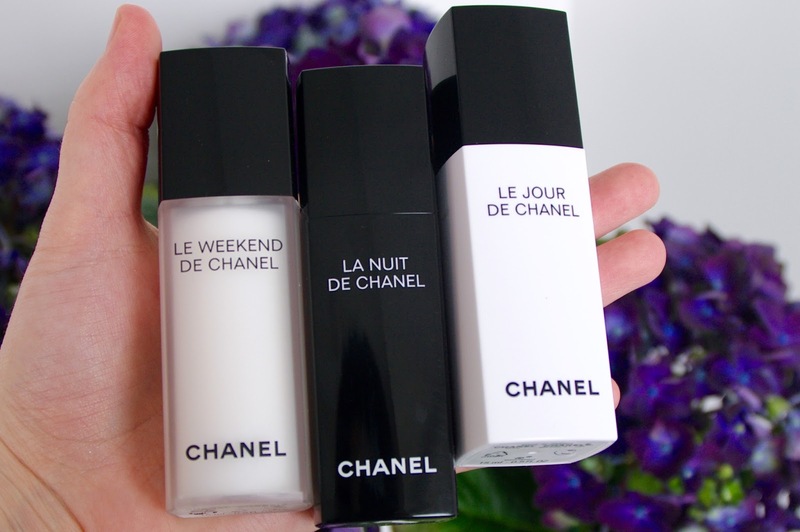 I adore Chanel skincare. I first used her moisturizer in high school after stealing it from my mother’s vanity and have been brand loyal ever since. I use these three products to help with smoothing and radiance, in addition to my regular moisturizers and face wash. 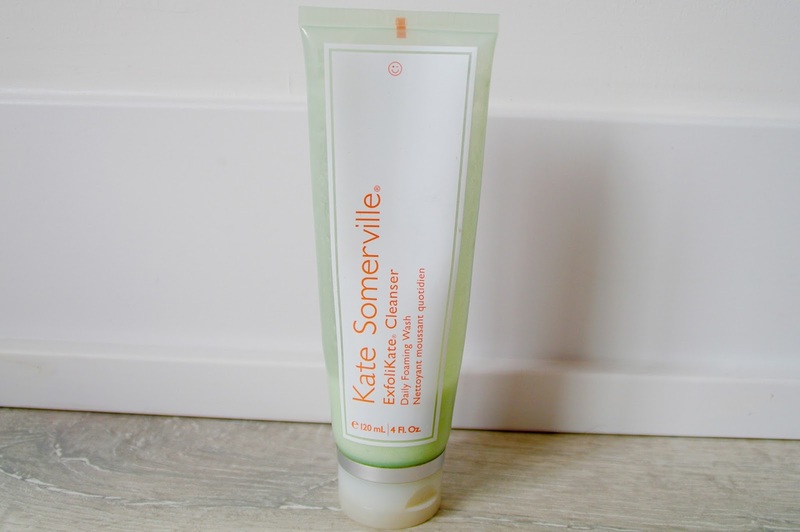 Le Jour: Reduces the appearance of pores (something I need a lot of help with! 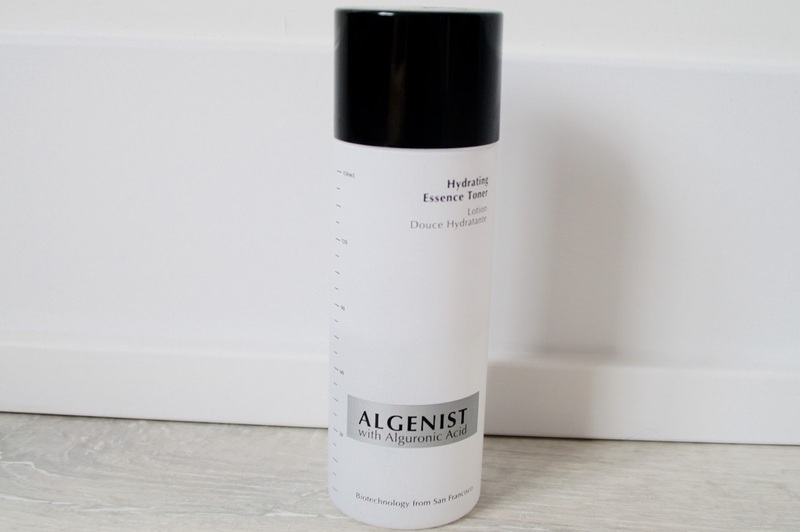 ), smoothes skin & enhances radiance. Le Weekend: Exfoliates & moisturizes. 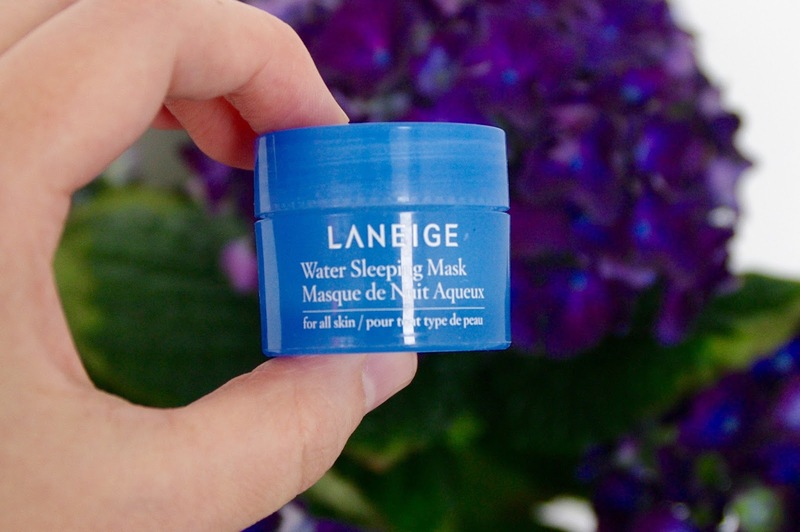 Once a week I will use the Laneige Water Sleeping Mask at night instead of my regular moisturizer. My face always wakes up feeling so soft & supple! I like to find makeup with sunscreen in it to protect my skin from the sun’s harmful rays. 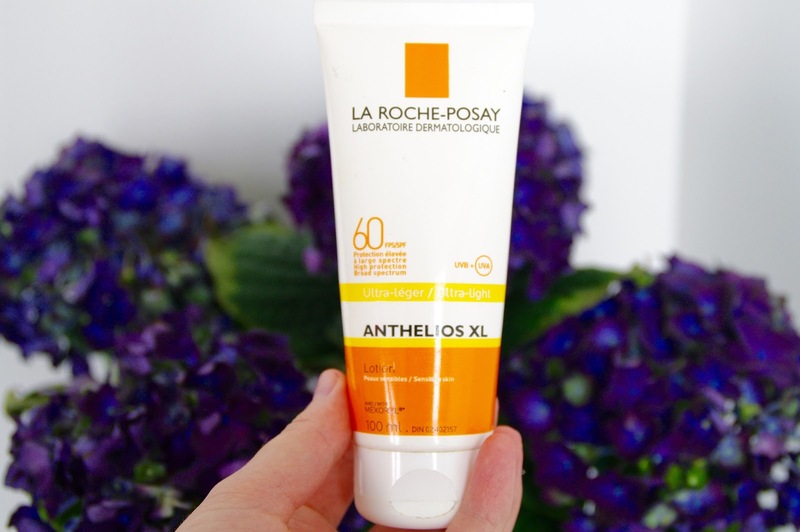 If I’m not wearing makeup I’ll use the La Roche-Posay Anthelios. I found this sunscreen when looking for something light enough to use on my face (though it can also be used all over the body). The beauty expert I was working with informed me that this is the number one recommended sunscreen by dermatologists. I aim for two litres of water a day to keep my skin hydrated. In recent years I have found myself less and less on top of getting my adequate water intake, which is why I downloaded The Plant Nanny on my phone. The app sends you lock-screen reminders to drink water. Your behaviour is rewarded with a garden of plants. For every glass of water you drink, you are feeding your plant which slowly matures and can be planted in a garden. There are other “goals” in the app which you can achieve as well. I currently have a dandelion, a cactus and Devil’s Ivy in my garden. I’m not much into ‘games’ on my phone, but I have found this app helps not only to remind me to drink water, but helps keep track of how much you have drank and will show you just how much you are skipping, as you can actually end up killing your plants when you don’t have adequate water intake. 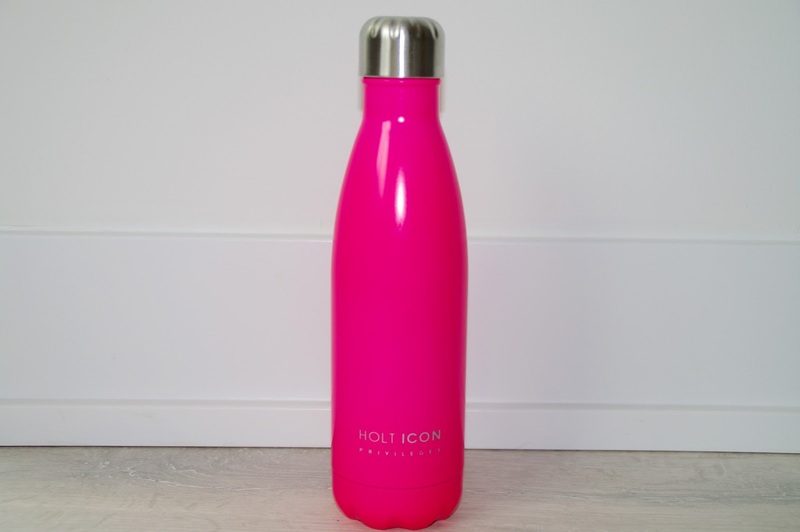 I always carry a reusable water bottle with me to ensure I am never without water and therefore have no excuses to be dehydrated. I believe this to be the most neglected beauty tip ever and hardly ever hear it referenced in skin care regimes. The times when I feel like my skin is the healthiest and has an inner glow is when I have been exercising regularly. Exercise will cause increased heart rate, pushing more nutrient and oxygen filled blood to your skin and taking with it toxins in the cells. Sweating will also flush out any toxins sitting on the surface of the skin. My favourite workout is Mary Helen Bowers’ Ballet Beautiful.